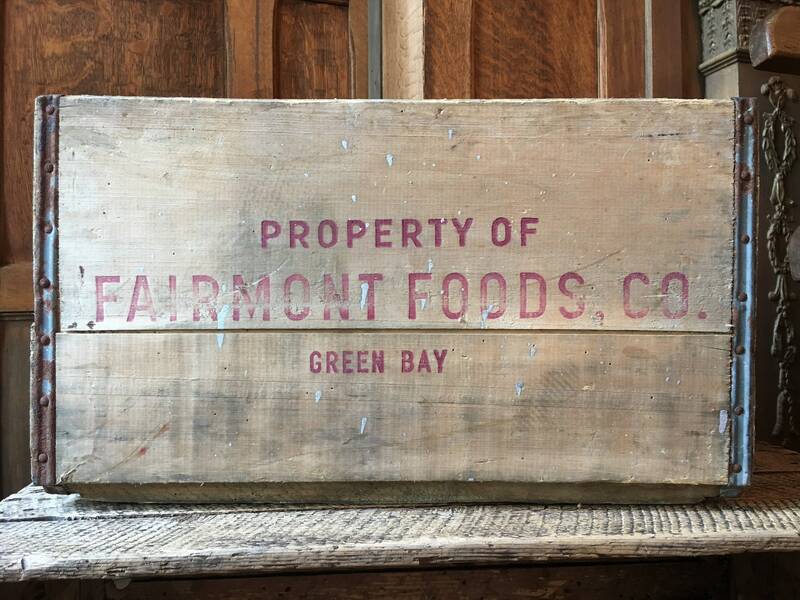 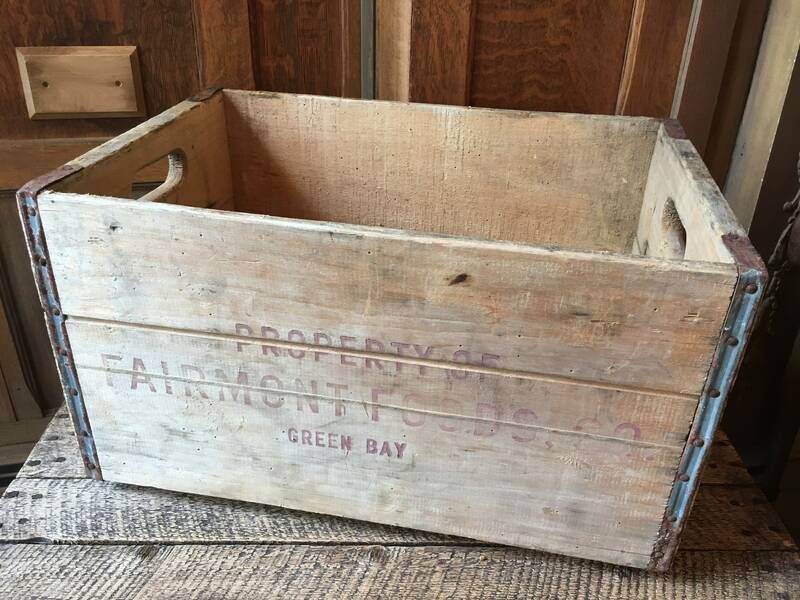 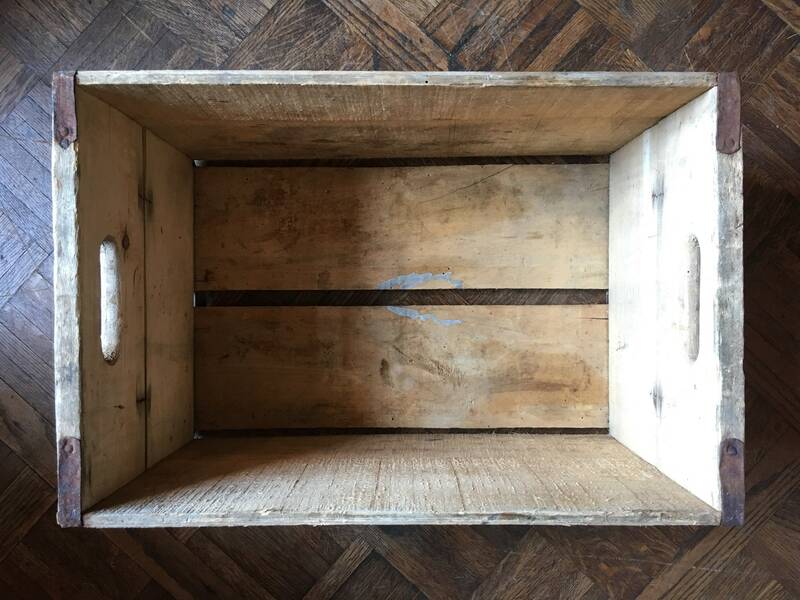 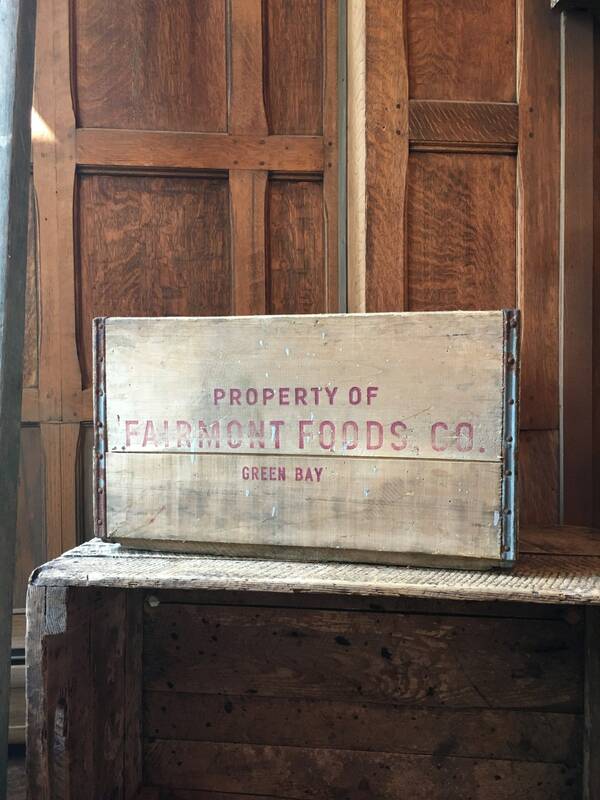 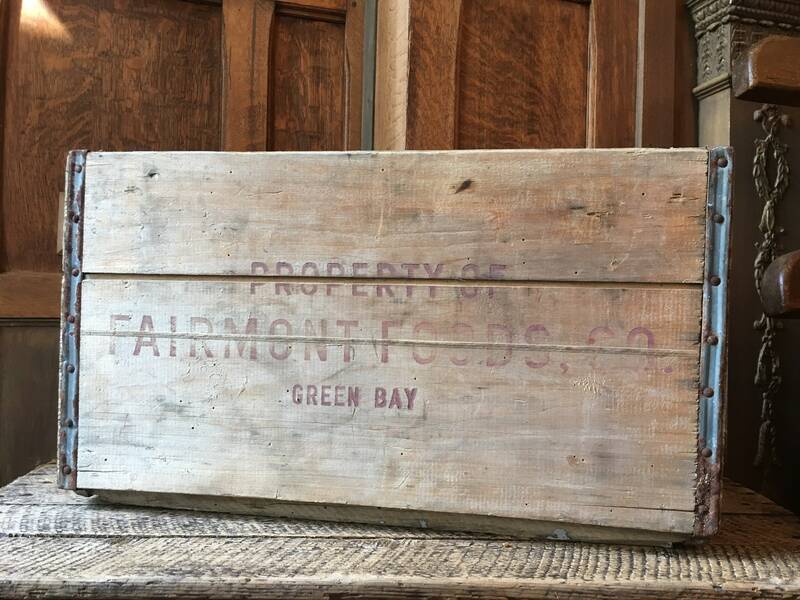 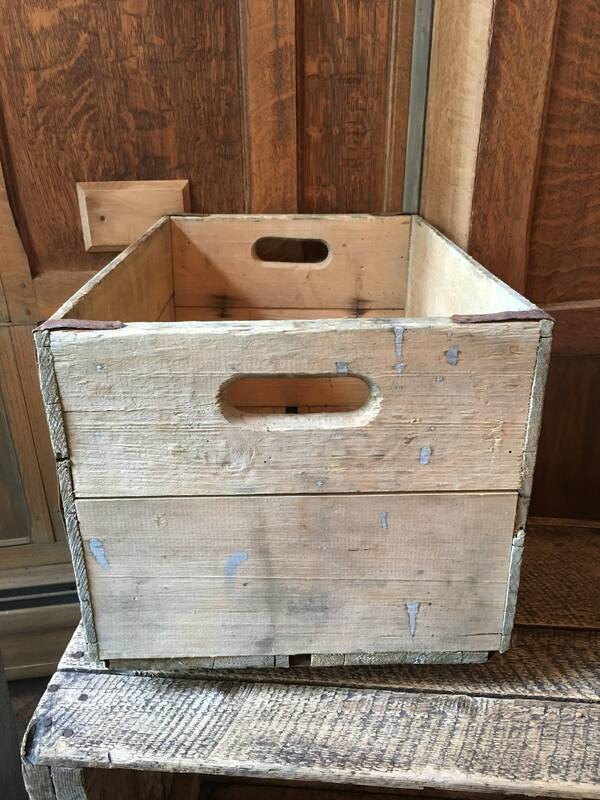 Fabulous vintage Fairmont Foods shipping crate. 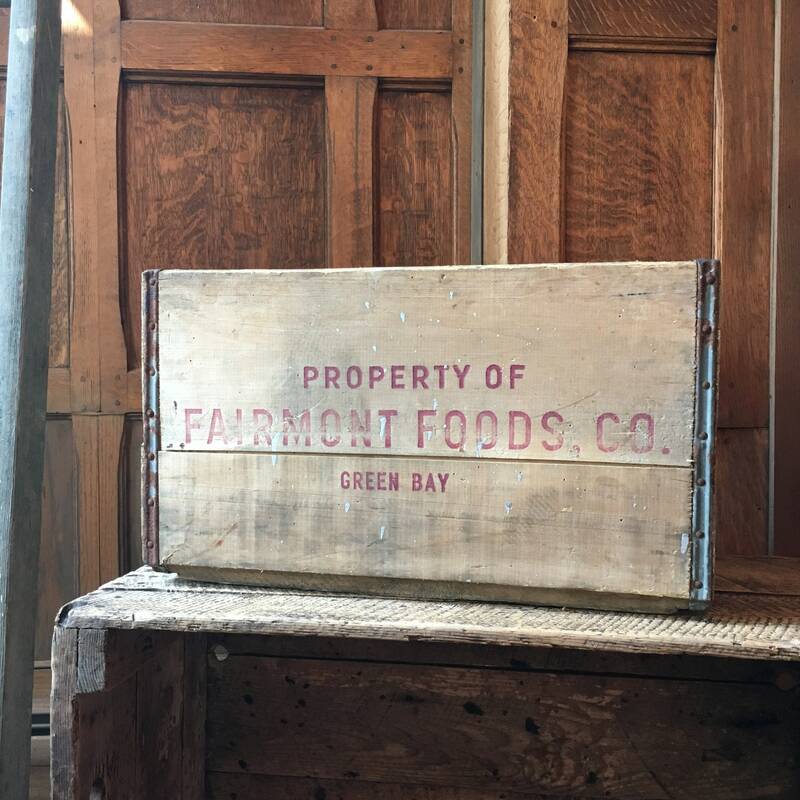 A company that started in the early 1900s in Green Bay Wisconsin. 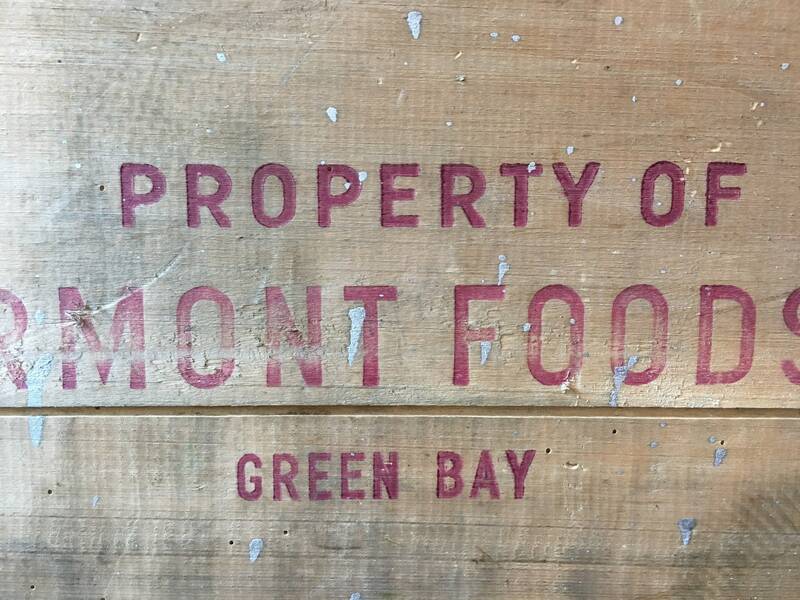 Text brighter on one side, more faded on the other. 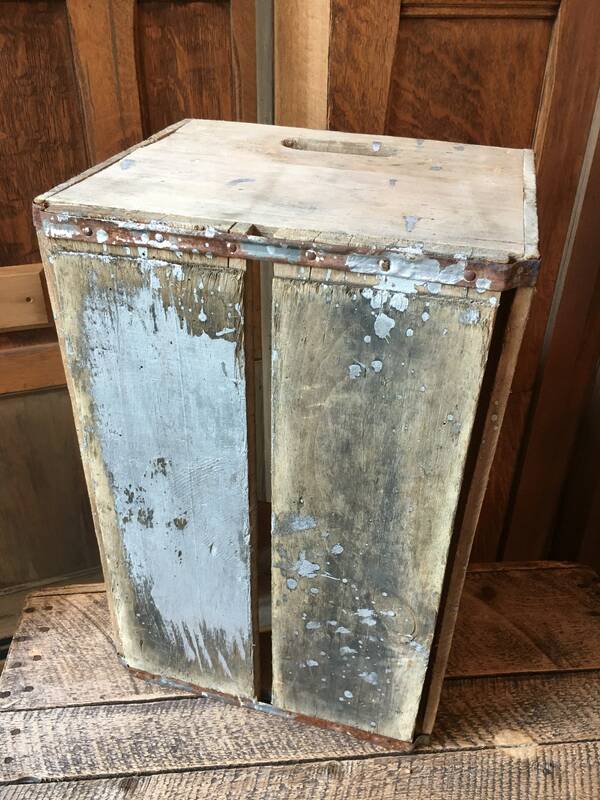 Gray paint splatter here and there, mainly along the bottom. 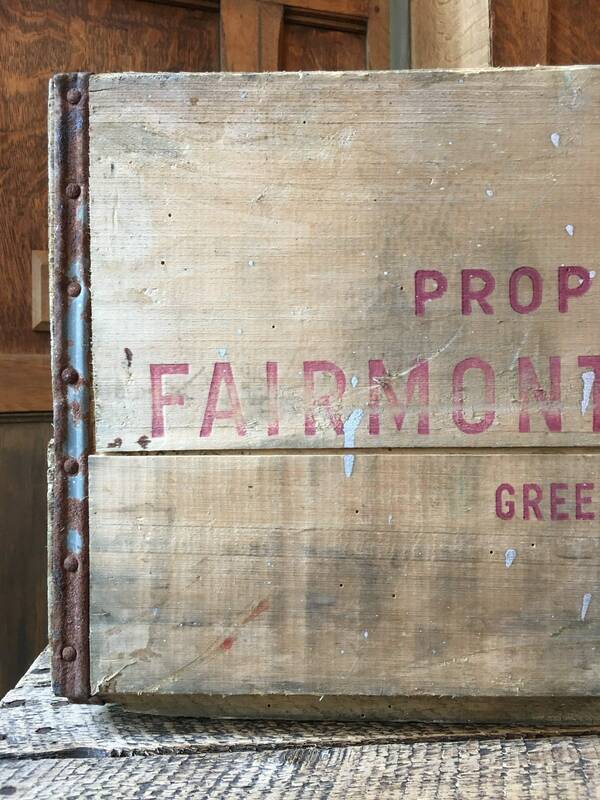 Surface rust on metal banding.